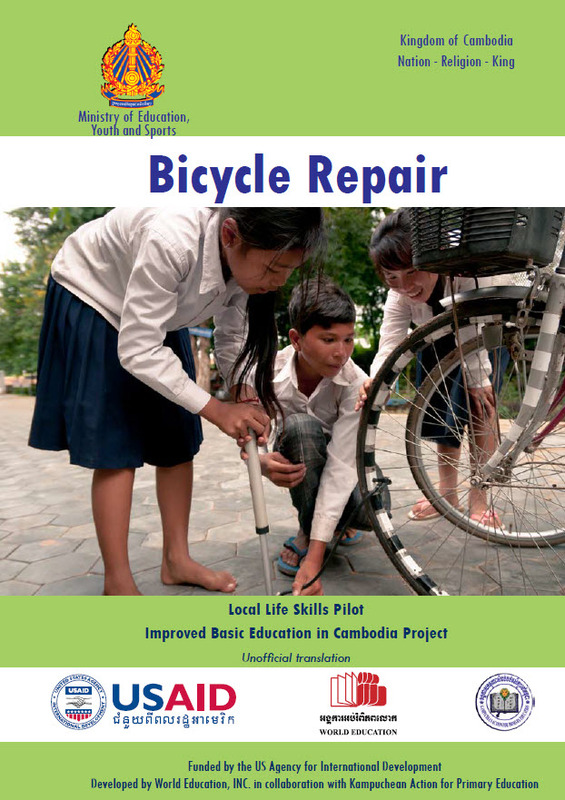 In poor countries in the world such as Cambodia, women and men use bicycle as a way to travel and transport material. Having a bicycle improves people’s living standard. The women and men living in rural areas can earn 1U.S dollar per day, so earning some money to buy one bicycle is also difficult. Bicycles are used by girls and boys go to school to improve education to children along the remote areas; to bring water and firewood to cook food. It is also used for the transportation of goods to the near markets and cycling is also something that children like to do. It is important that children learn how to keep their bicycle in a good condition so it can be used a longer time. Besides that, if students learn how to repair their bicycle when simple problems occur, it saves them money they need to spend to a repairman otherwise.